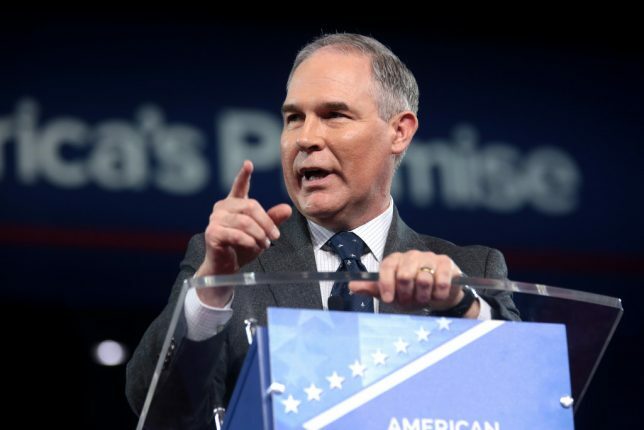 On Monday, Scott Pruitt, Trump’s Environmental Protection Agency administrator, announced a major change in the way the EPA will be doing business in the future. 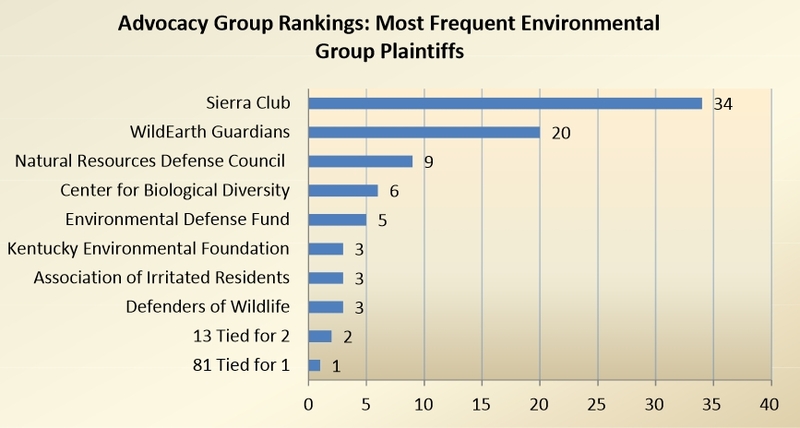 The agency will no longer pursue what has come to be known as “sue and settle,” whereby environmental groups sue the agency to take a desired action and the agency responds by settling the suit under terms favorable to the group. This change will restore agency rulemaking to its proper function, and deny the Left a major weapon in emplacing extreme, damaging regulations in federal agencies with no input or oversight from affected parties. The days of regulation through litigation are over. We will no longer go behind closed doors and use consent decrees and settlement agreements to resolve lawsuits filed against the Agency by special interest groups where doing so would circumvent the regulatory process set forth by Congress. 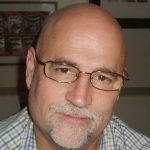 [U]nder this sue and settle process, EPA chose at some point not to defend itself in lawsuits brought by special interest advocacy groups at least 60 times between 2009 and 2012. In each case, it agreed to settlements on terms favorable to those groups. These settlements directly resulted in EPA agreeing to publish more than 100 new regulations, many of which impose compliance costs in the tens of millions and even billions of dollars. The program sets land use–type limits on businesses, farms, and communities on the Bay based upon their calculated daily pollutant discharges. EPA’s displacement of state authority is estimated to cost Maryland and Virginia up to $18 billion to implement. Utility maximum achievable control technology (MACT) – Rules governing air quality standards for air pollutants from power plants. The Clean Air Act didn’t require EPA impose such rules, but they were imposed anyway, with no input from the utility industry. Annual cost: $9.6 billion. Regional Haze Implementation Rules – Congress mandated that states devise their own rules for reducing haze in national parks for aesthetic (not health) reasons. Through consent decrees from five separate lawsuits, and without state input or knowledge, the EPA imposed standards 10 to 20 times more costly than existing state plans. This usurped state authority and the intent of Congress at a cost to state taxpayers of $2.2 billion. It was not always so. 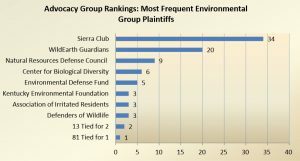 It is worth taking a short segue into Sierra Club history because it serves as an object lesson showing how the Left usurps an issue. In 1952, Berkeley, California native, David Brower (now deceased) became the club’ first executive director. He grew Sierra Club from about 7,000 members to a monolith of environmental extremism which claims about 3 million members today. Under his leadership the club accomplished a number of arguably good things, like establishing the Redwood and North Cascades national parks, but has devolved into little more than a shameless promoter of Democratic politicians and radical policies. Brower made it that way. He was a radical leftist who sought government control over everything. Brower was even invited to the Soviet Union — one of the worst polluters on earth. Somehow that fact escaped him. We must make this place an insecure and inhospitable place for capitalists and their projects… We must reclaim the roads and plowed lands, halt dam construction, tear down existing dams, free shackled rivers and return to wilderness millions of tens of millions of acres of presently settled land. It is basically anti-civilization. In its essence, eco-extremism rejects virtually everything about modern life. We are told that nothing short of returning to primitive tribal society can save the earth from ecological collapse. No more cities, no more airplanes, no more polyester suits. It is a naive vision of a return to the Garden of Eden. The “sue and settle” strategy fits right in with everything else the Left does. It is unethical, unfair and destructive. They have been at it for decades, flying under the radar with tactics like this. We have been their hapless victims. The Trump administration has taken some significant steps to roll back the damage. This is one of them. Truly a breath of clean air.